يوفر فندق Surfers Century Oceanside Hotel ظروف إقامة راقية وهو خيار رائج للسياح ولرجال الأعمال أيضاً. يقع في منطقة شواطئ, تسوق, الحياة الليلية من جولد كوست. يمكن من هنا للضيوف الاستمتاع بسهولة الوصول إلى كل ما تقدمه هذه المدينة النابضة بالحياة. يوفر الفندق بفضل موقعة الجيد وصولاً سهلاً إلى أهم معالم المدينة.
. إن Surfers Century Oceanside Hotel حريص على توفير الراحة للنزلاء، فلا يوفر الموظفون جهداً في تقديم أفضل الخدمات وضمان حسن الاستقبال. إن تسجيل وصول/خروج سريع, تخزين الأمتعة, صف السيارات, رعاية أطفال, مرافق للشواء هي جزء فقط من الخدمات التي تميز Surfers Century Oceanside Hotel عن باقي الفنادق في المدينة. لقد جهزت هذه الإقامة الفندقية بعناية فائقة لتوفر مستوى عالي من الراحة. في بعض الغرف يجد النزيل مناشف, رف للملابس, مرحاض إضافي, غرفة معيشة منفصلة, تلفزيون بشاشة مسطحة. سواء كنت من محبي الرياضة أو كنت تتطلع لتفريغ عناء نهار صعب، ستجد خدمات ذات مستوى عالي بانتظارك كمثل مركز للياقة البدنية, ساونا, مسار جولف - ضمن 3 كم, حمام سباحة خارجي, سبا. إن Surfers Century Oceanside Hotel هو خيارك لخدمة الفنادق الراقية في جولد كوست. Over all very good. 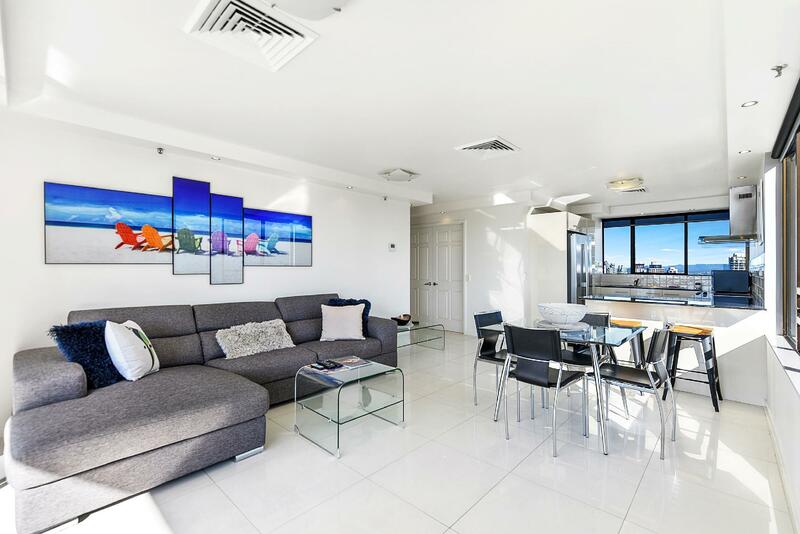 Good location, good sized apartments with great views from the higher floors. I was on level 23 and the view was very nice. Also the staff are nice as well. I would consider booking in here again for sure. The Gold coast is great and so relaxing compared to Sydney. The beach was great. Was a good apartment with good facilities. Only thing required to make perfect would be the bed was only a double and very hard and old. 1 street from the beach, sensational Ocean,city and river views, certainly 4-5 star, staff were friendly, parking was easy at no extra cost. 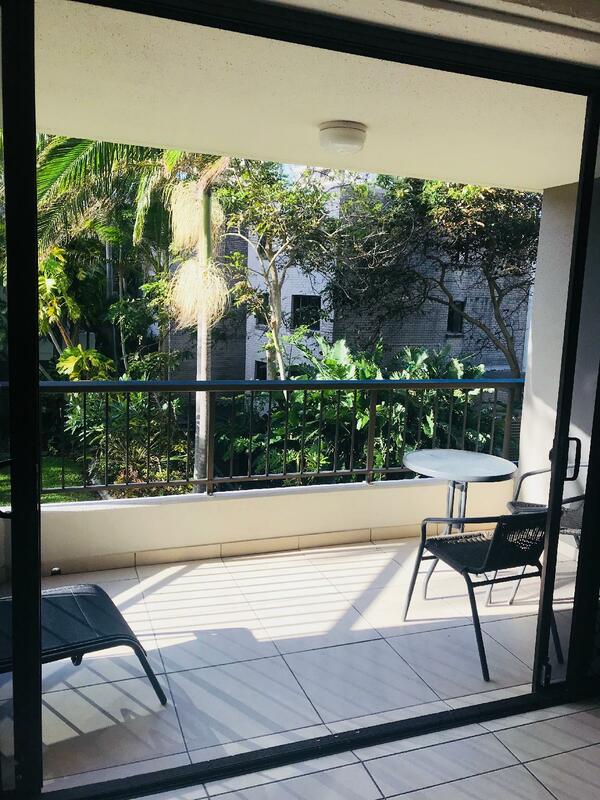 It is difficult to find a 2 bedroom apartment with 2 bathrooms in surfers paradise at a great price- would love to stay again- Well Done "this hotel delivers what it promises"
My mom, my Mother in law and I stayed for 3 nights. It was easy to check in even after office hours as long as you speak English well. The staff were helpful.Remeber to take the tourist book at the front desk and check it. You can find great deals in it.Jenny helped to book the whale watching tour and sea world ticket for us. It was a package of only 110. Great value to buy. My moms loved the kitchen so much that they didn't want to dine out. Had a fabulous time at surfers century. 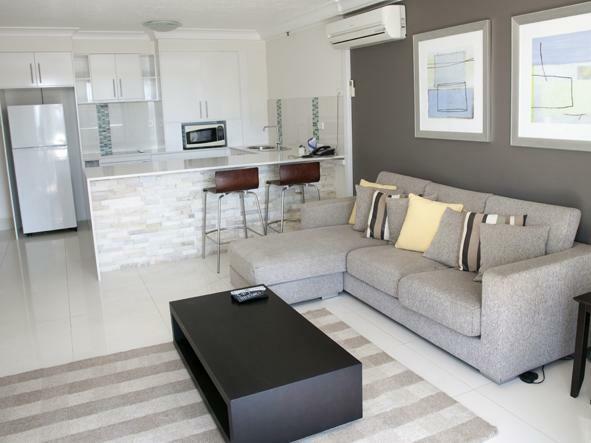 Very large, clean apartments with everything you need to have a relaxing holiday. Great views, heated pool and close to the beach. Would return again. Quiet and good location, near bus-stop, tram, shopping centre, beach. Reception open only on daytime, weekend half day, so remember to ask if you have have any queries when they open. You need to buy your own cooking ingredients. I rated 3 for Food/Dining as no resturant inside the hotel. Low ceiling, old design. We are fine with all these as we were out for the whole day. Saw old strains on the blanket cover but it was clean overall. Reasonable price and we will go back next time. Negatives: The outide of the room was poor 1/5. No resturant on site. No dishcloth in room made it hard to wash and clean dishes - went and asked and there was a surcharge and there was none available. Gave us a quarter roll of toilet paper with no spare/s. Had a late checkin and fair to say it was an inconvince to the staff Positives: The outside of Sufers century 4/5. Inside the room 3/5 Close to the beach and the life of surfers. يمكنكم دفع قيمة 6 ليالي للإقامة لمدّة 7 ليالي مع إطلالات على البحر.